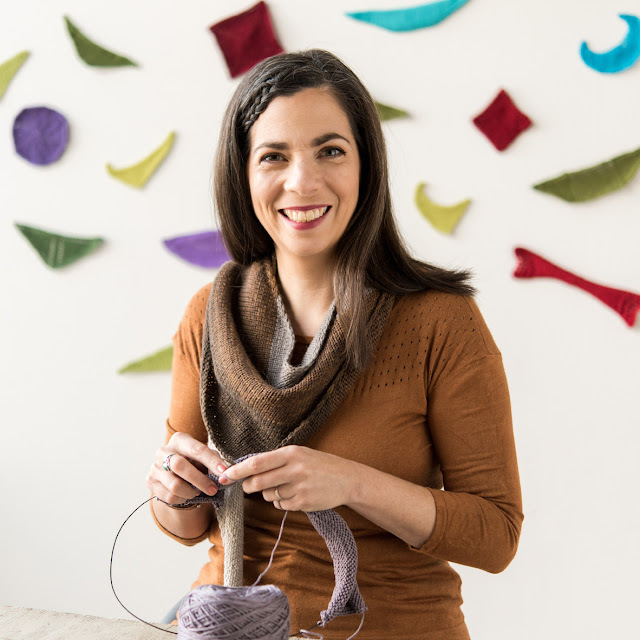 Have you heard about my new Craftsy Class, Knit Shawls 14 Ways: Exploring Shape and Design ? This class was an absolute joy to work on! I do a deep dive into how increases and decreases form a variety of shawl shapes! Starting with 4 basic shapes (Squares, Circles, Crescents and Triangles) I show you how to create multitude of shawls. 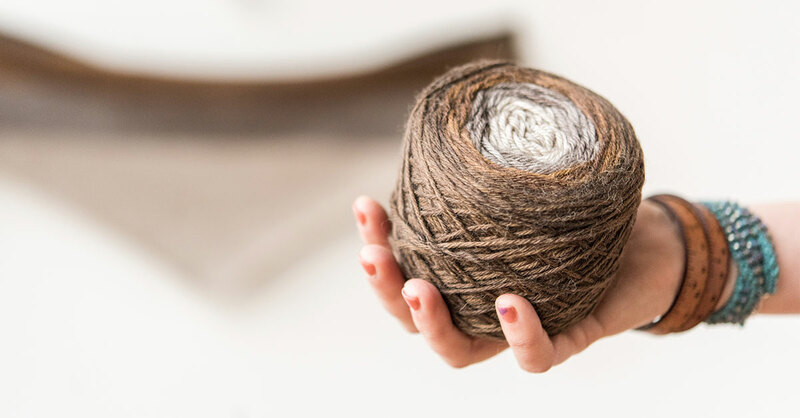 The class contains an extensive handout that contains powerful formulas that will help you understand the fundamentals needed to construct shawls completely from scratch. These are the tools I started with when I first learned to design, and you’ll see that once you grasp them, the sky is the limit! The handout provided in the class has four distinct shawl shapes. 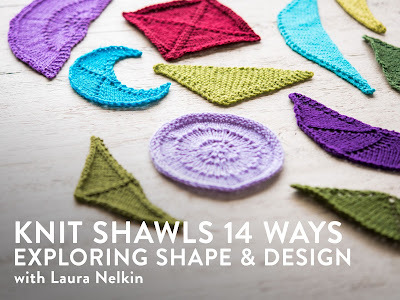 I explain the concept, provide a formula for that shape, show an example using that formula, and finally give you a pattern for making that shape shawl. You’ll see that the patterns are written in a very generic style; you’ll decide what stitch pattern and increases or decreases you’ll be using. 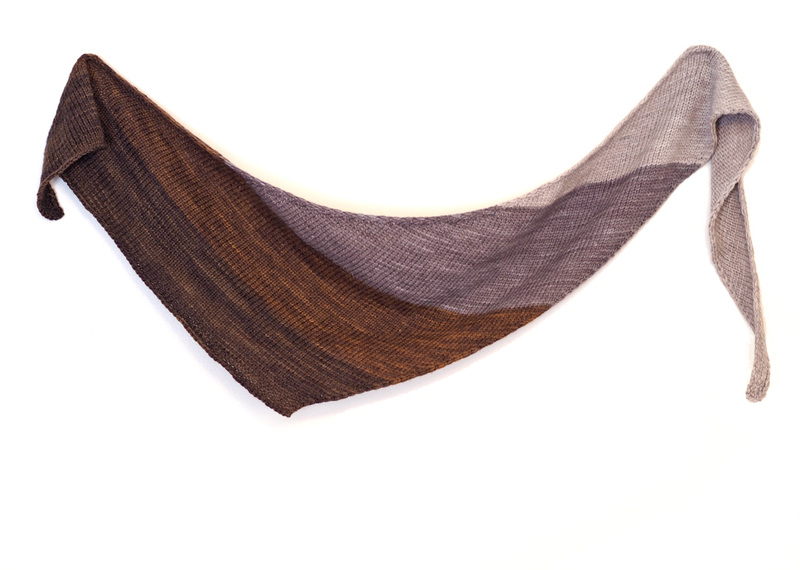 All three of these shawls start with the lightest color and work towards the darkest... I used the templates for the center out square, bottom up triangle, and basic boomerang. I ended up LOVING the boomerang version, and wore it for a bunch of the class filming, it is SUPER easy to wear! I keep getting asked about it, so I've decided to publish the pattern for those that are interested! It is probably the simplest pattern I have ever written : )! Basic Boomerang demonstrates how easy it is to take the concepts in my class and make a wearable shawl! I've written it up so you can use any yarn at any gauge and work your shawl until you are happy with its size! Plus this is a great shawl for a brand new knitter... so if you have one in your life tell them about it! Hi Laura, when I use your link, I do not get a 50% discount...the class is $29.99. Is it supposed to be a 50% discount, or has Craftsy changed that sooner than Jan 31? You'll see that the top of your screen that it says coupon applied to cart? If you go to your shopping cart you should see that it is discounted! Let me know if that doesn't work? Yes, that's what I was missing. Thank you! Laura, I have three of your shawl knitting classes and love them. But, having said that, I'm really looking forward to the TV-watching-friendly Boomerang shawl. I love the look of it's simplicity. Thank you so much for your kind gift! Thank you very much, Laura, for the Boomerang shawl pattern: a generous offer and much appreciated. Thank you so much for your kind gift of the Boomerang shawl. I am so looking forward to knitting it! Laura, I finished my Boomerang last night using the Puget Sound color-run. However, even when blocked strenuously, it does curl horribly on two of the three sides. Is there a way to reduce that, maybe by a k1p1 row before binding off, or some such? (I already have the Birds Nest color on the needles.) Thanks! Can you post a photo over in my Ravelry group so I can see? Perhaps doing a garter border at the edge before the bind off will help? I wonder if your gauge is too tight and that is making it not able to block out? If I can see it that will help me help you! Hi Laura, I'm a beginner and I'm trying to follow the pattern. My question is, along the edge is there supposed to be a hole/space for each row?